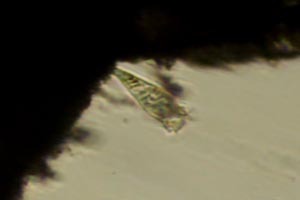 This was a quick look at some of the Cladophora from the stream here. 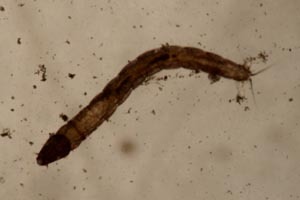 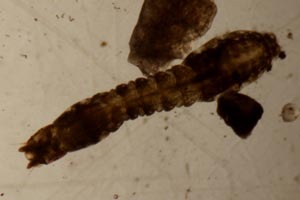 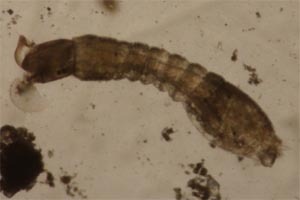 This had been growing in small clumps on rocks during most of the spring and summer, with large numbers of black fly and midge larvae making their home among the filaments. 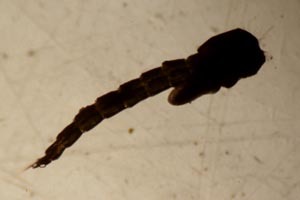 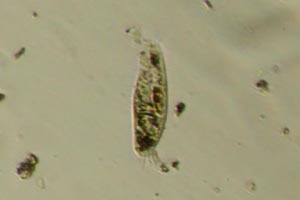 Attached Rhoicosphenia were also common. 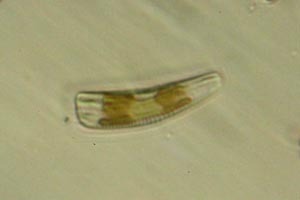 These were still abundant in this sample, but otherwise it was very sparse. 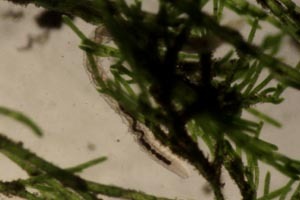 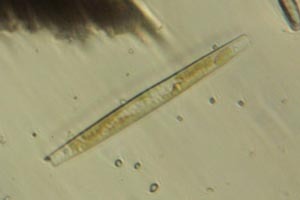 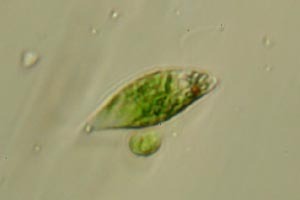 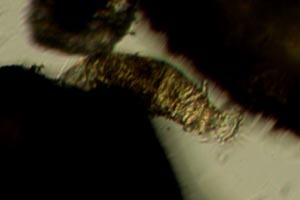 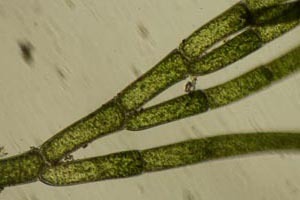 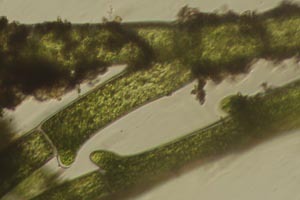 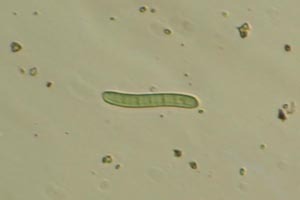 Among the algae there were a few small ciliates and an oligochaete. 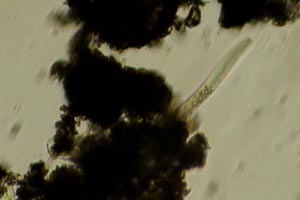 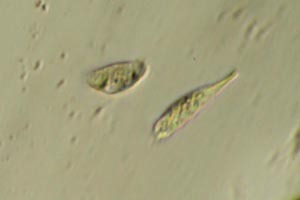 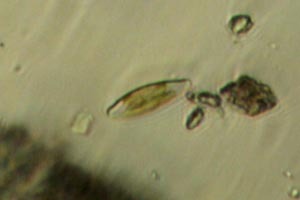 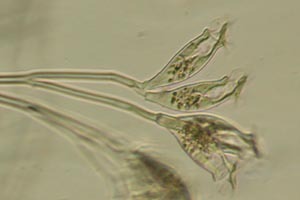 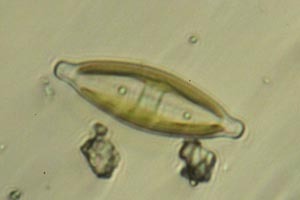 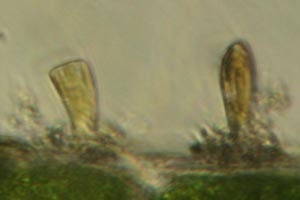 Some sand was also taken, and here there were some scattered diatoms and ciliates, most notably a colony of Opercularia. 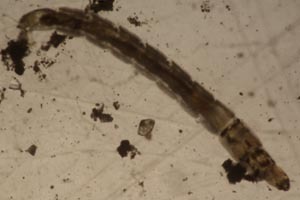 The water was returned before it could lose too much oxygen.